Just What is Going on in Our Prisons? Yesterday saw mass walkouts across Her Majesty’s prison estate. 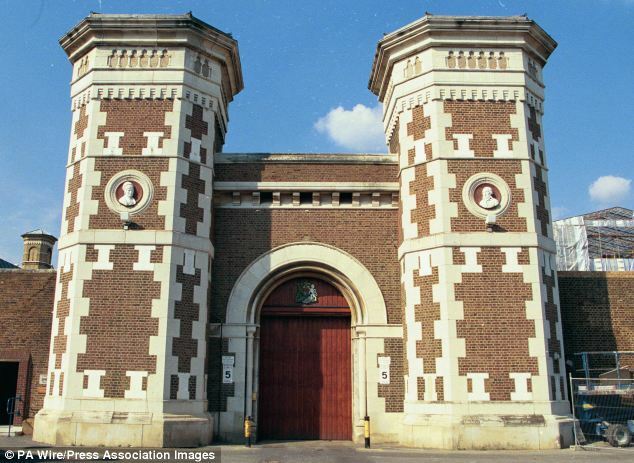 Up to 10,000 members of the Prison Officers Association were forced to defy convention and take industrial action. Cuts officer numbers is causing Health and Safety standards to plummet leaving POA members and support staff vulnerable to attacks. At the time of our interview the 2010 FIFA World Cup was about to get into full swing; a particularly dangerous time due to an upsurge in gambling amongst the offenders. With cash is short supply the currency was drugs and the jail did not then have enough staff to make sure that the correct meds were being taken by the right people. With methadone, subatex, a variety of anti-depressants plus drugs for psychosis being given out on prescription it was not unusual for offenders to stash the drugs to pay debts which caused predictable consequences. By 2012 prescription drugs in another jail were being pushed through the hatch because prisoners were not being unlocked until 9am on weekdays to save on staffing costs for breakfast. Offenders were given a cereal pack the night before. We describe in visceral detail the conditions we encountered in four jails during the writing of, “Through Red Lenses”. We also spoke to newly qualified prison staff and they described even more brutal conditions at yet another prison. This included being caught alone between access doors at movement time which resulted in a nasty situation which could have ended very badly. Prison should be a measure of how civilised and progressive we are as a Society. This is not just for the usual bleeding hearted liberal reason; it’s pragmatic and saves billions in the long run. Plus, as my mate pointed out when I was experiencing a middle aged intolerant moment (all too familiar), “if you really believe in Human Rights the real test is this; can you extend them to people with which you have nothing in common or can’t empathise with?” No comeback required. Perfect. Justice Secretary Liz Truss’ position is baffling. One minute she is telling Parliament a, ““toxic cocktail of drugs and violence flooding our prisons” which she described as, “at breaking point”. The next time she addressed the Commons (yesterday) she was on the offensive against the POA, ““The union’s position is unnecessary and unlawful, it will make the situation in our prisons more dangerous,” she told MPs. “We are taking the necessary steps to end this unlawful action.” The Union is convinced that the Tory Government has no interest in prisons and is banking on the fact that the public’s position, fed by decades of gutter press coverage is to ignore what goes on behind the walls. Like the NHS the long term damage to our prison system can only be reversed through an expensive rebuild of the estate, raising the numbers, pay and status of all staff and above all changing the emphasis of the Justice System away from just punishment and towards an ethos of rehabilitation via world class education and high quality and interesting work both inside and outside of jail. No political Party has ever talked about prison without using it to make themselves look hard in the eyes of public. It is the ultimate race to the bottom in politics. Who will have the courage and moral fibre to change the narrative about prisons? Unless this issue is addressed right here, right now we will end up with a 1990 style series of Strangeways rioting across the prison and the age old question will be posed, “Why, oh why was this allowed to happen? « “The First Word”: The NHS Crisis to #CALEXIT What’s Making the News?